Animals are portrayed in different ways on coins: they can be symbolic, stylised or realistic, or they can be national symbols and are often to be seen in coats of arms. I would like to look at some of these in this topic. First of all I would like to look at realistic portrayals of animals in reasonably modern times. This peacock on a Burmese coin of 1852 looks undeniably realistic. I can't find any earlier modern designs that look as realistic as this. Note that the bird is depicted standing on a piece of earth. There is no other background. The 5 Mark coin of German New Guinea, dated 1895, sports a highly realistic design of a Bird of Paradise. Apart from the branch on which it is perched, there is no other background. Into the 20th century now with this 50 cents coin of 1909 from the East Africa and Uganda Protectorate, and, unlike the birds, this lion is depicted against a full scenic background of Mount Muhavura, an extinct volcano in Uganda. Realistic portrayals of animals became increasingly in vogue after the First World War. 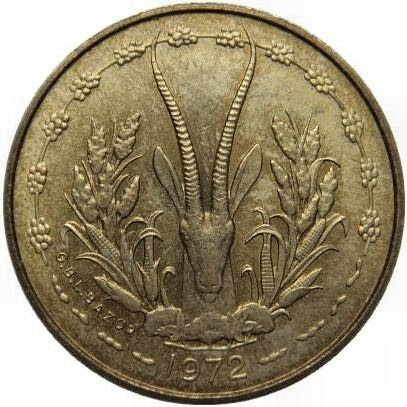 This farthing of South Africa, dated 1923, follows the example of depicting the sparrows on a branch. In contrast to the birds, the larger animals are mostly not depicted against any significant background. They either appear on the exergue, as above, or on a bare mound of earth. This beaver design, seen on the Canadian 5 cents coin, was actually first issued in 1937. It has a rich background and is one of the exceptions to the rule that larger animals are usually not depicted against any scenery. 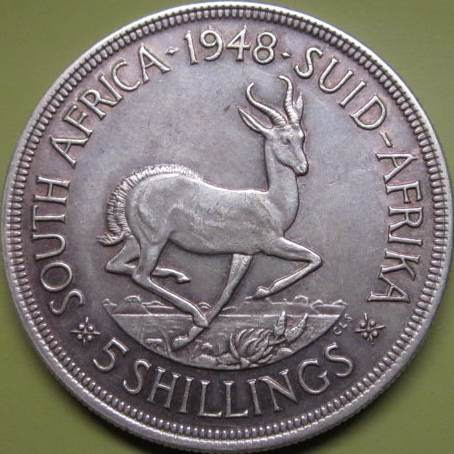 This South African 5 shillings coin of 1948 is one of the other few exceptions to the rule. Well into the 20th century, however, this sparse treatment remained the rule. Botswana, 1 pula, 1981. This design first appeared in 1976. 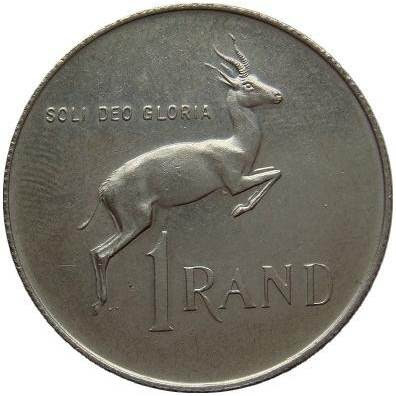 Now in 2014, Botswana has released a new 1 pula coin (dated 2013). In contrast to the earlier design, it has a rich and busy background. Personally, I prefer the earlier design, but I wonder if the scenic background will signal a new trend for wildlife designs on circulation coins. 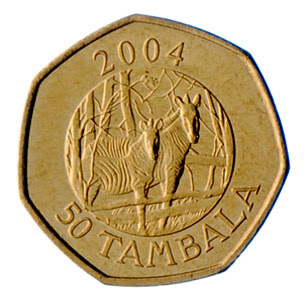 This Malawian 50 tambala coin of 2004 shows that Botswana was not the first to show a zebra against a scenic background. Scenery - or no scenery? The new Botswana set released in 2014 (but dated 2013) can't seem to make up its mind. Should it be consistent - or does it not matter? 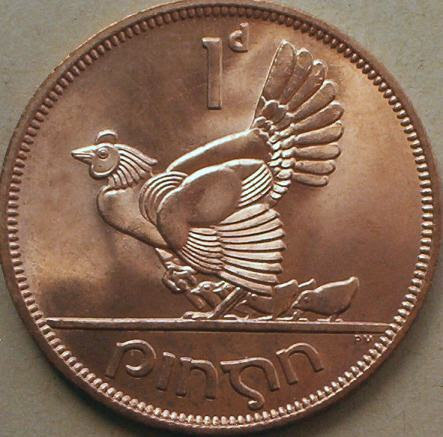 The Gibraltar penny has depicted its partridge with and without a branch. Which do you prefer? Likewise, the macaque monkey on the 5 pence was originally depicted with ornamental flowers. I prefer the more pristine versions. St. Thomas and Prince, 500 dobras, 1997. This mona monkey is almost lost among the scenery. Animal designs have become such a popular theme on circulation series, that they risk looking too similar. Some countries have managed to avoid this risk: Colombia, 500 pesos, 2011. Frog. Colombia, 1000 pesos, 2011. Loggerhead turtle. Percy Metcalfe's ground-breaking Irish "barnyard series" of 1928 contained a heavily stylised and rather 2-dimensional depiction of a hen and chicks. The hen in particular looks more like a metal toy than a living breathing animal. Curiously, this design was combined with others that were far more realistic. The Irish set seems to have been an influence on the many later circulation sets that included several animal designs. Curiously, the idea of including a design of an animal mother and child on a circulation coin does not seem to have been taken up again until the Malawi florin of 1964. 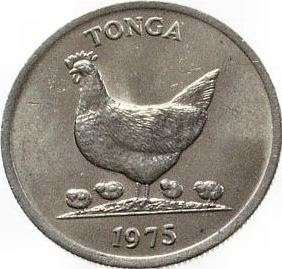 The hen and chicks design on the Tongan 5 seniti coin of 1975 seems to be paying homage to the Irish penny. The designs of the first circulation set of independent Slovenia were largely realistic. However, the later circulation issues of the higher denominations included a magnificently stylised horse, seen above, as well as a bull and a stork. 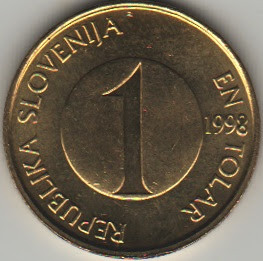 See also: Slovenia: post-Yugoslav coinage. 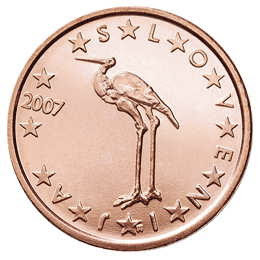 After Slovenia joined the euro zone, the stork design was transferred to the new 1 cent coin. The Irish barnyard series was designed by Percy Metcalfe, an Englishman. George Kruger-Gray, another English artist who was employed by the Royal Mint, produced various other animal designs for Australia, Canada, South Africa and Mauritius. 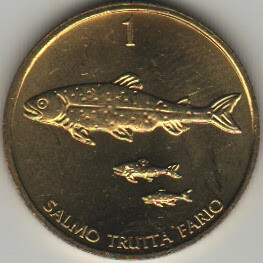 In later years, when the former British colonies of sub-Saharan Africa became independent, many of these countries opted for wildlife designs on their circulation coins. These designs were usually provided by Britain's Royal Mint, and a recognisable style developed. This style has influenced others, and it can be seen in the recent circulation series from Fiji, Samoa, and even, I would argue, Uruguay. The British-influenced style of wildlife design is rather pristine, but the French also had an empire, and the French or French-influenced style of wildlife design is often by contrast far more ornate, and very attractive too. West African States, 5 francs, 1972. Dune gazelle. The design above was created by French artist Lucien Bazor. The lush vegetation gives it a hugely different style from the designs of Britain's Royal Mint. Another example of French style. More examples of French style. Three cows from New Caledonia, on a 20 franc coin. And three zebus from Madagascar on a 1 franc coin of 1948.